Academy Award® nominee and Emmy® winner Benedict Cumberbatch is PATRICK MELROSE, son of a decadent and damaged aristocratic family who embarks on a one-man odyssey of redemption and recovery. Armed with considerable charm and a withering wit, Patrick navigates his debaucherous life from decade to decade, from the South of France to New York and London, proving the Melrose poison is the hardest habit to break. Also starring Jennifer Jason Leigh, Hugo Weaving, Allison Williams and Blythe Danner. 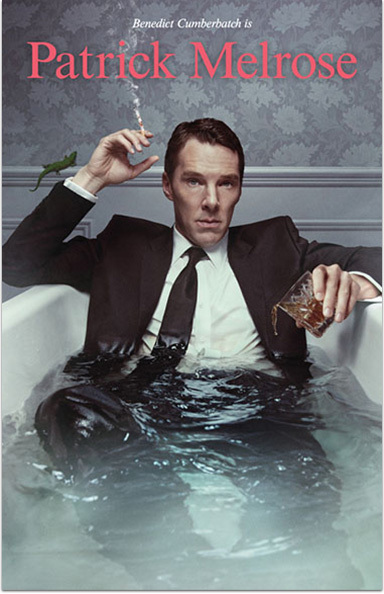 Don’t miss PATRICK MELROSE, a SHOWTIME® Limited Event Series. Patrick Melrose © Sky UK Limited. All Rights Reserved. Academy Award is a registered trademark and service mark of the Academy of Motion Picture Arts and Sciences. Emmy is a registered trademark of the Academy of Television Arts and Sciences. SHOWTIME and related marks are trademarks of Showtime Networks Inc., a CBS Company. You must be a subscriber of SHOWTIME to receive SHOWTIME ON DEMAND.